RARE 2BR/2BA single family detached home w/ separate den has been perfectly remodeled inside while offering zero maintenance outside! 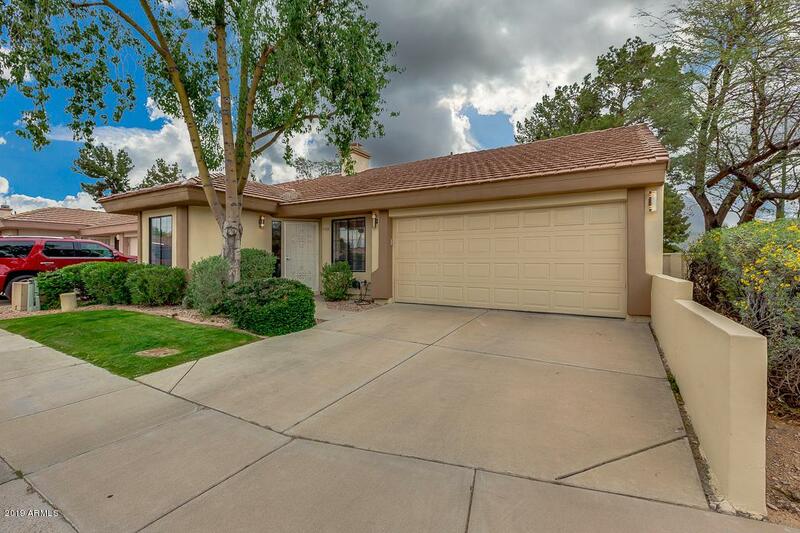 Home boasts vaulted ceilings, NEST thermostat, upgraded lighting + fixtures & oversized tile throughout. 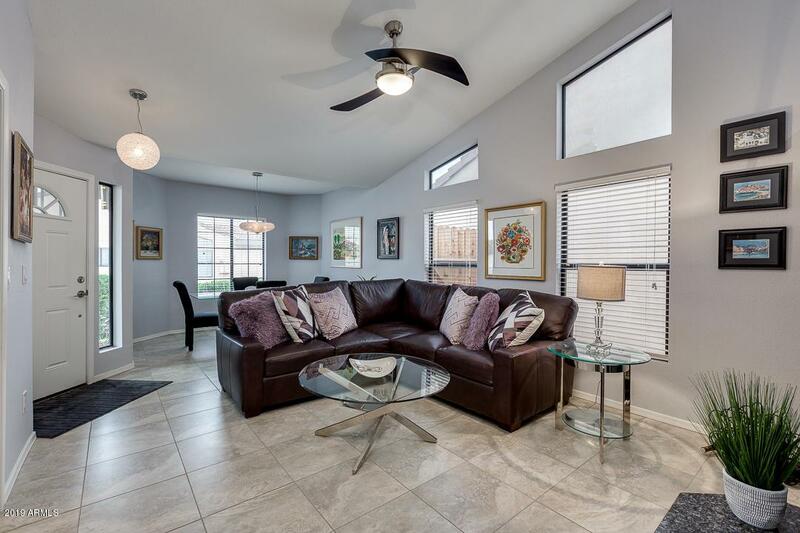 Open concept living/dining w/ fireplace + separate den w/ glass doors. Kitchen w/ granite counters/backsplash, custom cabinetry, stainless steel appliances, & built-in desk. Ensuite Master w/ outdoor access, spa bath w/ oversized shower & built-in linen storage, & lg. walk-in closet w/ custom shelving. Fabulous backyard w/ continuous pavers, covered patio w/ retractable sunshade & no neighbors behind! 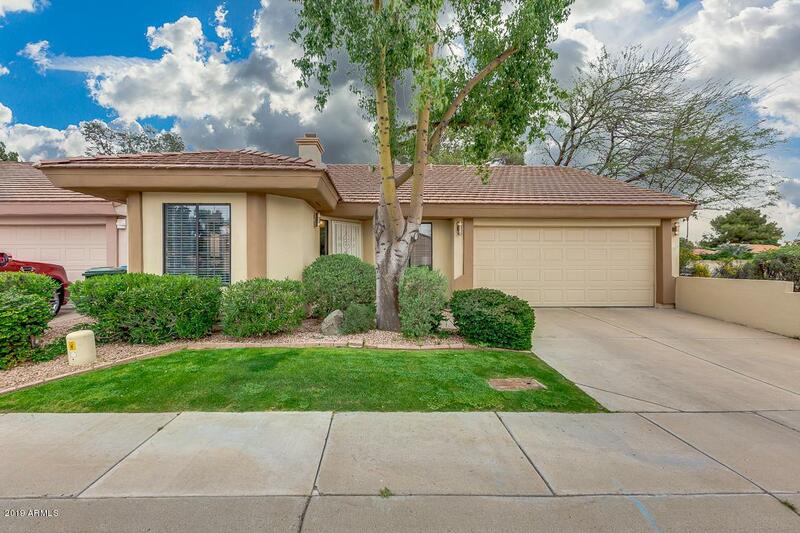 HOA maintained front yard. New exterior paint in 2018, roof replacement in 2014 w/ 10-yr wrnty. 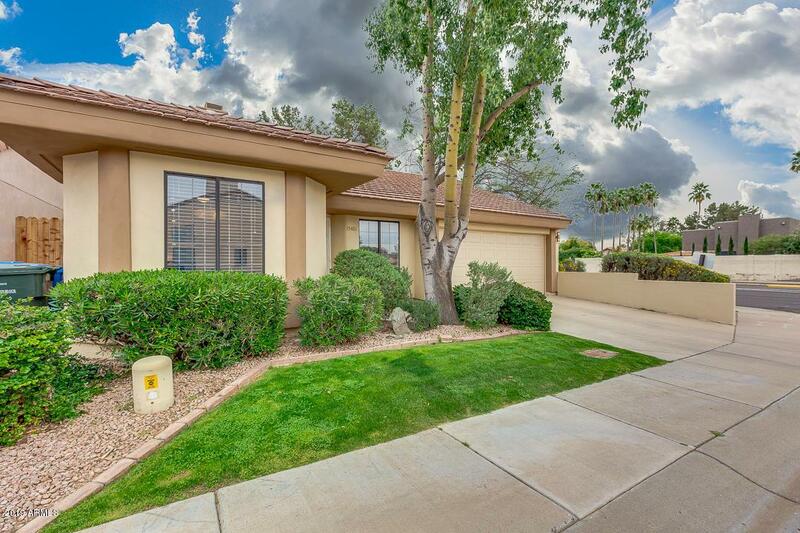 Minutes to Kierland, Desert Ridge, MIM, & 101/51 freeways!